Professor Ted Sichelman is a Professor of Law at the University of San Diego School of Law. Mr. Sichelman is also the Director of Technology Entrepreneurship and Intellectual Property Clinic and Director, Center for Intellectual Property Law & Markets, at the USD School of Law. Professor Sichelman teaches and writes in the areas of intellectual property, law and entrepreneurship, empirical legal studies, law and economics, computational legal studies, and tax law. His current research efforts explore theories of patent remedies, the effects of the patent system on entrepreneurial companies, the role of patent law in technology commercialization, patent litigation strategies, game theoretic models of innovation and patenting, the history of the patent system, real options models of litigation, the effects of the macroeconomy on patent litigation, optimal levels of tax enforcement, and mathematical models for legal artificial intelligence systems. Professor Sichelman clerked for the Honorable A. Wallace Tashima of the U.S. Court of Appeals for the Ninth Circuit. He practiced in the areas of intellectual property litigation and transactions, as well as appeals, at the law firms of Heller Ehrman and Irell & Manella. He participated in a number of important U.S. Supreme Court cases, including playing a substantial role in a win for an injured employee in MetLife v. Glenn (2008); co-drafting an amicus brief in the patent case, Bilski v. Kappos (2010), in which the court largely adopted the recommendations and reasoning of the brief; and submitting an amicus brief in Global-Tech v. SEB (2011), a patent case involving the scope of indirect infringement. In 2012, Sichelman served on the Lieutenant Governor of California’s task force to place a satellite office of the U.S. Patent & Trademark Office in California. In 2011, he worked with the office of Representative Zoe Loefgren to draft proposed language for the recently passed America Invents Act, the most substantial revision to the Patent Act since 1952. Before practicing law, he founded and ran a venture-backed software company, Unified Dispatch. Sichelman designed the company’s software and is a named inventor on several issued and filed patents and applications. He joined the USD School of Law faculty in 2009. 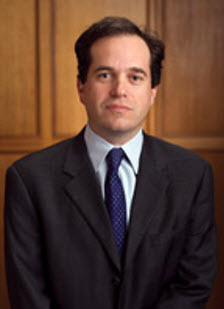 Professor Sichelman was a winner of the 2011 Stanford-Samsung Essay Contest on Patent Damages. In 2008 and 2009, he was a Kauffman Foundation Fellow at the University of California, Berkeley (Boalt Hall) School of Law. He is licensed to practice law in the State of California and is a member of the American Bar Association, California Bar Association, Federal Circuit Bar Association, American Law & Economics Association, Society for Empirical Legal Studies, and the Patent & Trademark Office Society.